Steven Universe is a boy living in the fictional town of Beach City with Garnet, Amethyst, and Pearl, three female alien magical beings known collectively as the Crystal Gems. 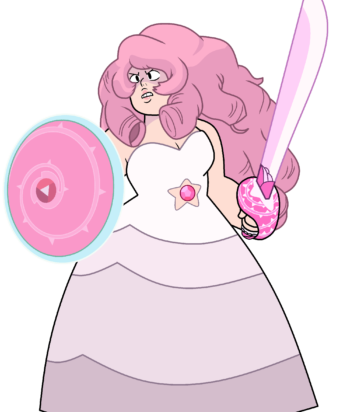 Crystal Gems protect the Earth and were established by Rose Quartz, Steven’s mother. After Rose needed to give up her physical form to give birth to Steven, Garnet, Amethyst, and Pearl took on the responsibility of raising him. Steven’s dad, Greg Universe, is a Human who lives in a van and works at a car wash. Steven maintains a good relationship with him and visits him regularly. Steven has Rose Quartz’s gem and throughout the series it’s revealed to him exactly what that means and the responsibility it brings. The Gems help train him to use his powers as he grows older. 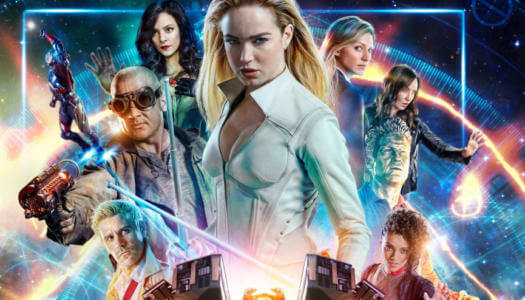 The amazing thing about this show is even though it’s about a male character and the story is told from his perspective, 90% of the show characters are female and mostly voiced by People of Color. 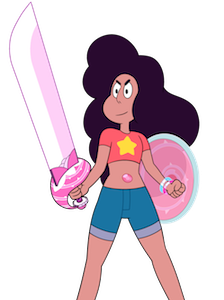 Showrunner and creator (and out bisexual), Rebecca Sugar is the first woman to have a show on the Cartoon Network and she is the best answer to the Network’s male-centric programming. 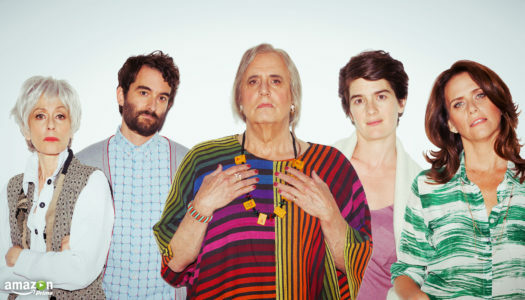 The show takes on topics like alternative families (Steven essentially has 3 moms), queer relationships, defying gender norms, leaving abusive relationships and many other themes not usually covered on kids TV. 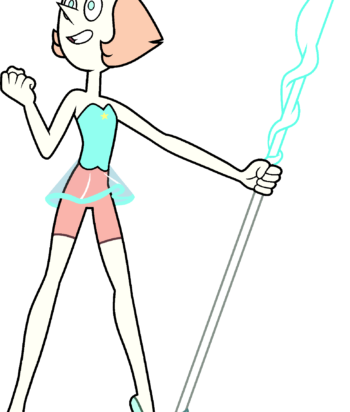 Soon it comes to light that Pearl was in a long-term, open, love relationship with Rose, though Rose left her for Steven’s dad. 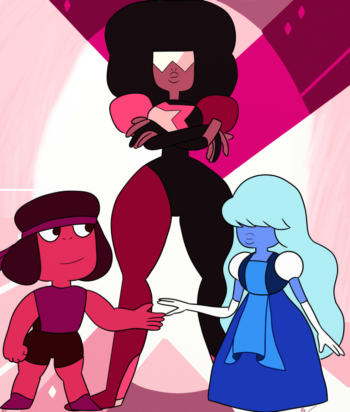 Garnet is a fusion of 2 gems: Ruby and Sapphire. Ruby and Sapphire fell in love and chose to remain fused as Garnet forever. Starting in season one you learn about Rose & Pearl’s relationship and by the season 1 finale you find out about Ruby & Sapphire. From then on the show gets queerer and queerer. 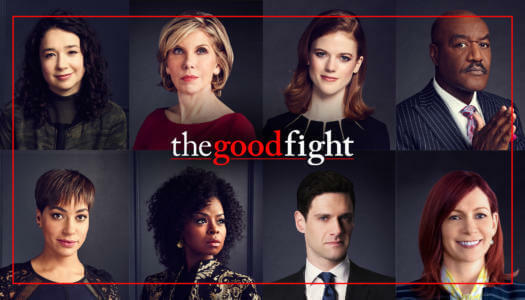 It is absolutely worth watching the entire series from the beginning. Season One Episode 45 “Rose’s Scabbard” – When Pearl learns of things Rose Quartz kept secret from her she completely loses it. Up until this point the show hinted at Pearl’s feelings for Rose, but this episode makes it obvious their relationship was more than just a friendship. Season One Episode 49 “Jail Break” – When the Crystal Gems are captured, we meet Ruby and Sapphire for the first time. After they are reunited (it’s super cute) they fuse back together and Steven learns Garnet is a fusion. Season Two Episode 9 “We Need to Talk” – We get some backstory on Rose, Pearl & Greg’s love triangle. We also meet Rainbow Quartz, Pearl and Rose fused together. Season Two Episode 22 “The Answer” – For Steven’s birthday Garnet tells him the story of how Ruby and Sapphire first met. 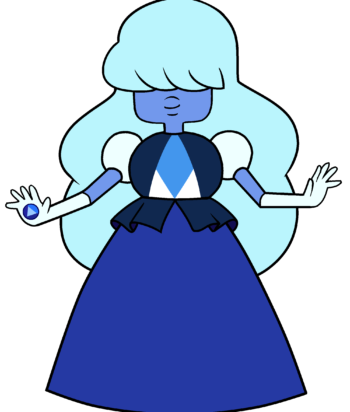 Sapphire was a rare aristocratic Homeworld Gem and she had 3 Rubies (almost identical soldier gems) assigned to protect her. 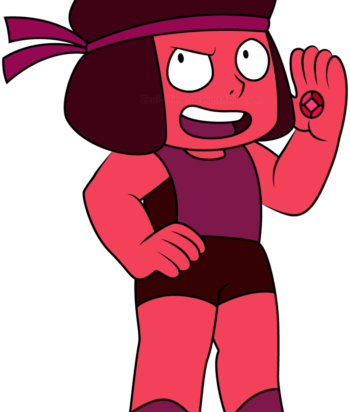 When the rebel Crystal Gems arrive to save the Earth one of the Rubies tries to save Sapphire and they unexpectedly fuse. After the other Homeworld Gems reject them for this fusion they run away. They wind up falling in love, becoming Garnet and joining the Crystal Gems. Season Three Episode 9 “Hit the Diamond” – A team of Rubies come to Earth to capture Peridot. Garnet unfuses so Ruby can infiltrate the other Rubies. The Crystal gems pretend to be humans and Steven challenges the Rubies to a game of baseball. Sapphire and Ruby flirt during the entire game and it’s ridiculously cute. Season Four Episode 6 “Last One Out Of Beach City” – With Steven and Amethyst’s encouragement, Pearl tries flirting with a woman who looks a lot like Rose Quartz. Season Five Episode 23 “Reunited” – Ruby and Sapphire get married in a big gem wedding. 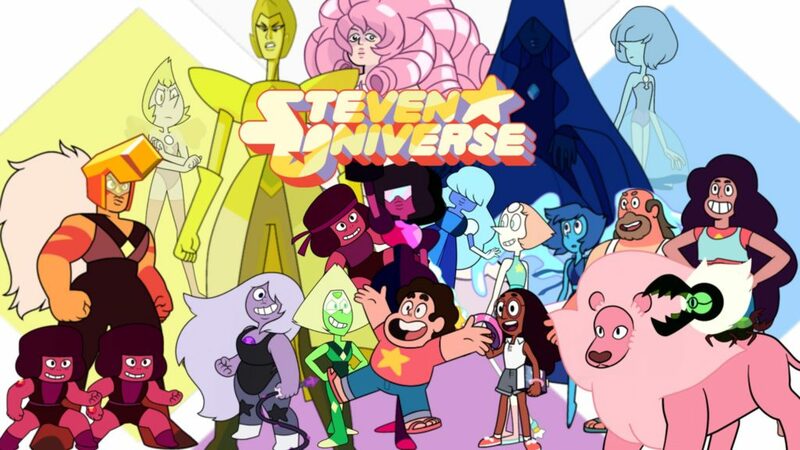 If you like Steven Universe you may also like these shows. This show is brilliant, and at times, really intense for a kids show on the Cartoon Network. I strongly encourage everyone to watch it. 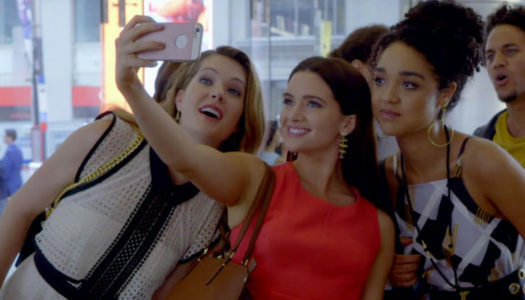 It’s a cartoon about magical gem-beings, but the stories, emotions, relationships and feelings expressed on the show can be intensely real at times. Rebecca Sugar is a absolute genius and this show is brilliant. The Crystal Gems are main characters and in every episode.